Microsoft Outlook defaults to open replies and forward in the reading pane. Here’s how to change the behavior to pop-out replies to it’s own window. 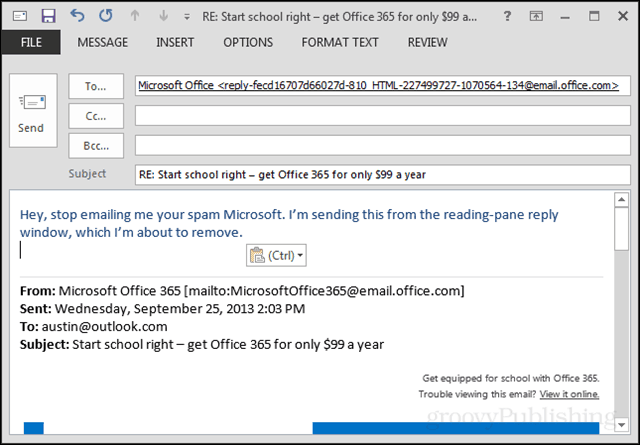 Microsoft Outlook 2013, 2016 and Office 365 defaults to open email replies and forwards in the reading pane. If you’re looking to have the email pop-out by default instead in an uncluttered window, just follow the simple steps below. Click Mail > Scroll down to Replies and forwards > Check box Open replies and forwards when replying or forwarding. Click OK to save settings update. If you want to do the opposite and stop replies and forwards from automatically popping out into a new windows, go through the steps again and make sure the box is unchecked. To make this setting the default across the board, there is both a registry fix and a group policy for it. 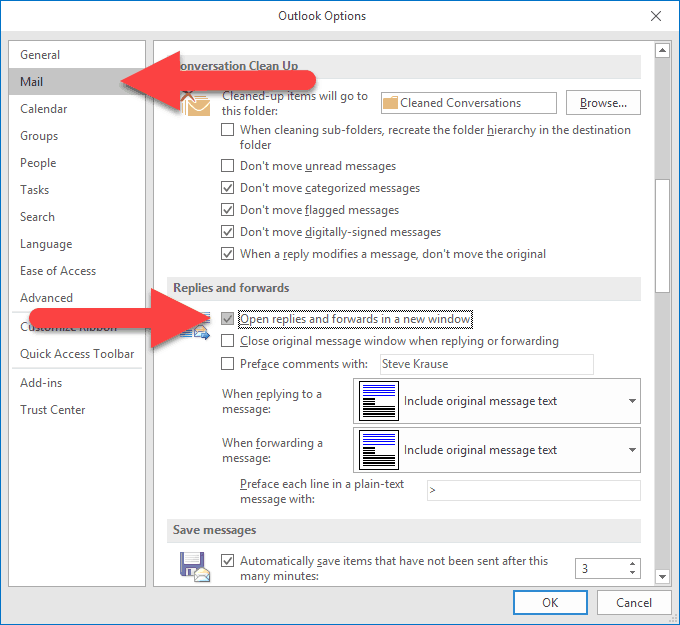 The registry item will not exist by default, however Outlook does automatically add it when changing the setting in Outlook Options. You can find it here for Outlook 2016 or Outlook for Office 365. Once enabled, Outlook will open all replies in a new Compose window. This is the same behavior exhibited by Outlook in versions previous to 2016. If you run into issues disabling the pop-out, be sure to check your Outlook add-ins – located here: File > Options > Add-ins. I had an issues where an add-in prevented me from disabling the feature once enabled. Once I disabled a few add-ins, I found the trouble maker and Outlook was back to giving me replies and forwards in the reading pane.